In years past, summer camp was almost always a given, with most kids enjoying at least a week of camp every summer. Today, kids are growing up differently with screen time as their most predominant activity. And that difference makes summer camp more important than ever. Though the kids of today are connected to virtually everything and everyone via technology, many lack in organic personal level connections which are needed to help them grow and thrive. 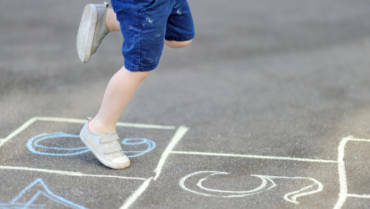 Think about it, when you, the parents and grandparents of today’s children, were growing up, you played outside whenever school was out. That meant after school, on the weekends, on spring break, winter break, and summer break. If you glance around your house during these times today, you likely see your kids on social media, messaging, or playing video games. And there is nothing inherently wrong with any of those things – as long as they are used in moderation. And therein is the problem, human beings are losing the ability to connect, losing social relational skills. The experts say because of screen time, kids aren’t learning social skills which they need to be successful in life. Research shows excess screen time results in anxiety, inattention, hyperactivity, depression, and emotional and behavioral issues. A recent study also showed kids who spend less time with their screens and more time in personal face-to-face interaction with their parents, teachers, and peers are the happiest. So, just how can parents do what’s best for their kids – drawing them away from screen time and providing the needed opportunities to develop social skills, grow into amazing adults and contribute to the betterment of society? 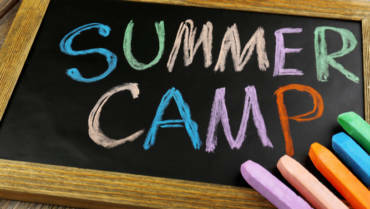 Summer Camp may be the easy answer! Think about it for a minute and remember. Remember your days at summer camp. Sure there were bugs, heat and humidity, and lots of sweating, but more importantly there were amazing friendships, fun, and best of all, independence. You learned important life skills, too, though you may not have realized it at the time. But again, remember those fun-loving caring camp staffers with whom you interacted while they helped you make friends, collaborate with other campers, understand the ups and downs of relationships, and treat your fellow campers with respect and integrity. Maybe you learned to use your independence wisely or gained a greater measure of self-confidence at summer camp, whatever your summer camps lessons, you carry them with you today, and are likely a better adult as a result. Today’s young parents are seeing the results of too much screen time and want more for their kids – like outdoor time, meeting new people, cooperation with others, overcoming challenges, and independence – and summer camp delivers! A summer camp experience promises the opportunity to meet new and interesting people, gain new life experiences, and learn to be a better person. An annual trek to summer camp opens lots of doors, allowing your children to gain a measure of independence while trying new things – swimming, canoeing, archery, crafts, cooking, fishing, etc. – which they might never have tried at home. Camp staff and counselor also teach cooperation and collaboration, something screen time never could. Kids learn to work as a team, empathize with fellow campers, overcome challenges and gain self-esteem along the way. Summer camp might just be the perfect foil for screen time, filling the relationship skills deficit with amazing new friendships, exciting new experiences, and a newfound love for the great outdoors.